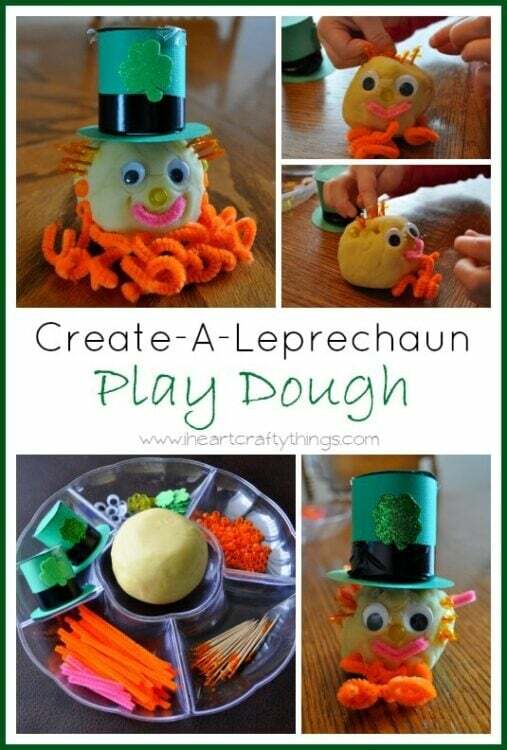 I have been itching for the end of February to roll around because I had this idea about a month ago to create an invitation to play station for my daughter with Play Dough for her to create her own Leprechaun for St. Patrick’s Day. My son had a friend over this afternoon so my daughter was needing some special one-on-one attention to avoid ruining their playtime so it was the perfect opportunity to put my plan into action. 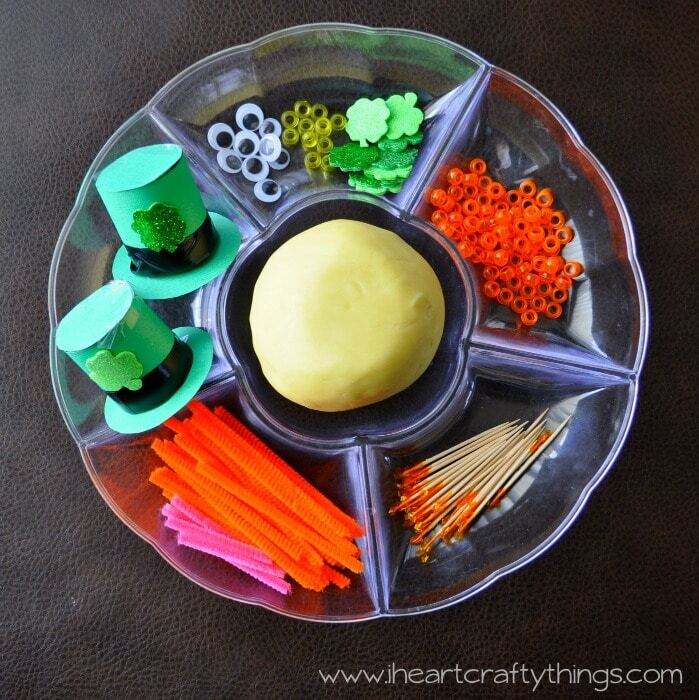 For the skin color of our Leprechaun we made this amazing Island Pineapple Jello Play Dough found at Modern Parents Messy Kids. 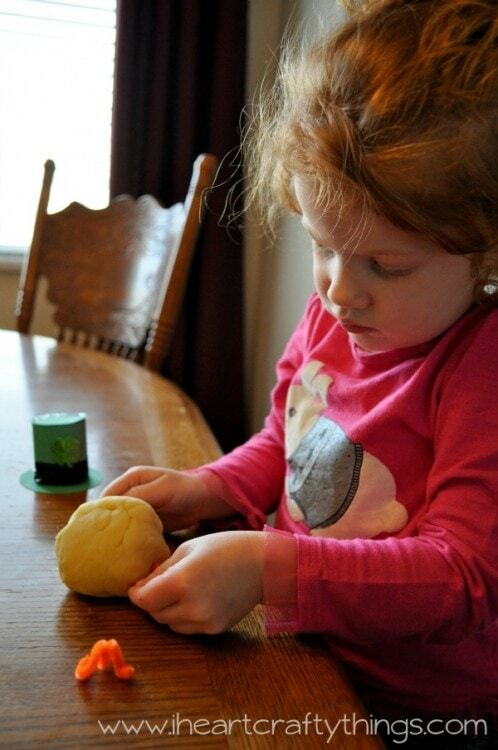 It was our first time making Jello play dough and it is my new favorite! It smells heavenly and the texture is so smooth. I can’t wait to try all of the other flavors. Included in our tray with our play dough I used googly eyes, orange cocktail toothpicks, small shamrock stickers and the Leprechaun hats that I made out of empty toilet paper rolls. 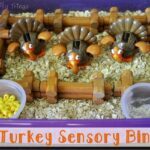 I will tell you how I made those in a minute. 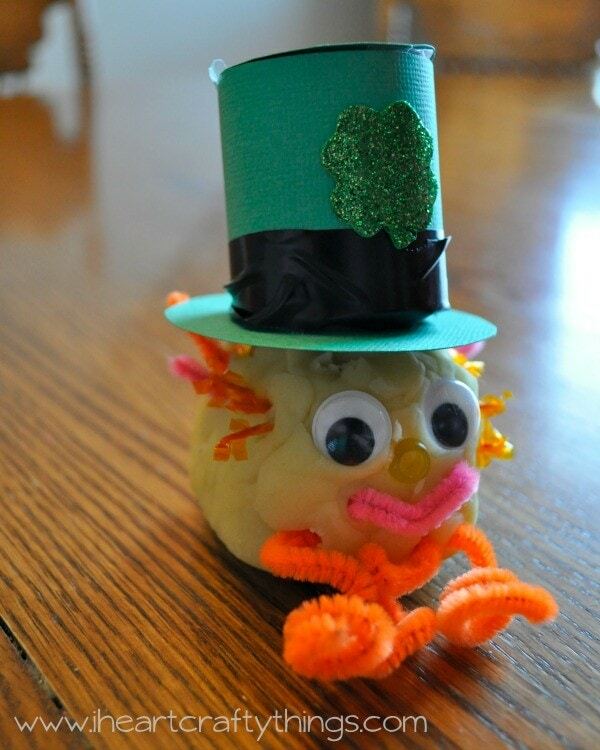 Now I have to be honest with you, I had as much fun making my Leprechaun as my daughter did. 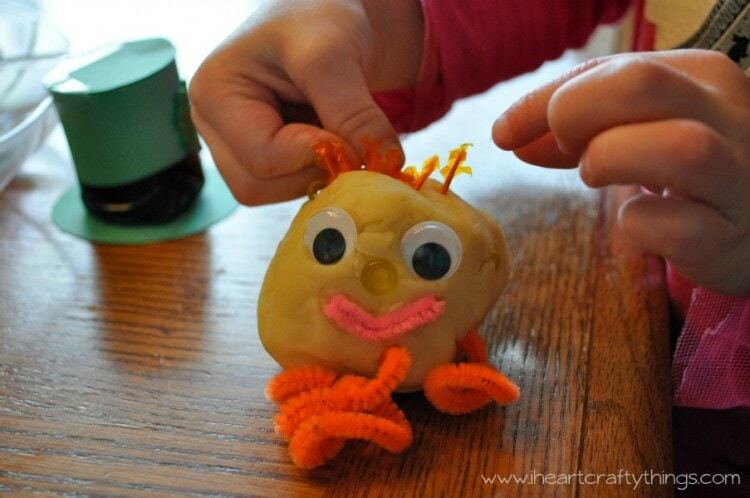 I felt like a child totally in the zone with my play dough not aware of anything going on around me. Hahaha! I tried to take a couple pictures of the process but I was just having so much fun playing that I didn’t get much. 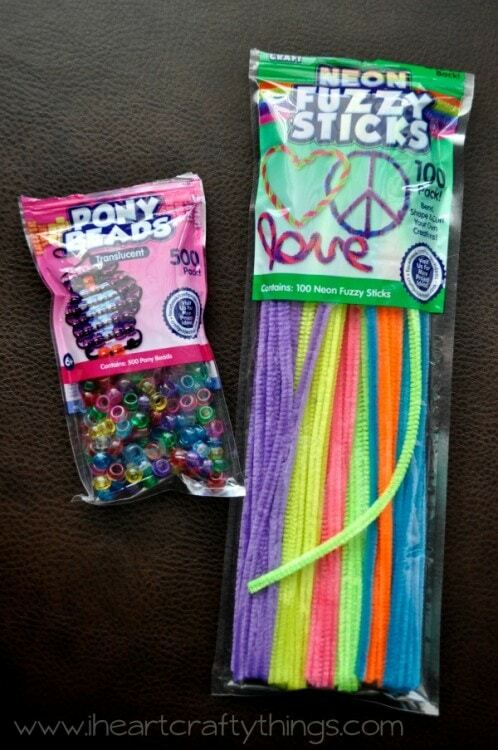 To make the orange Neon Fuzzy Sticks curly we wrapped them around our finger. 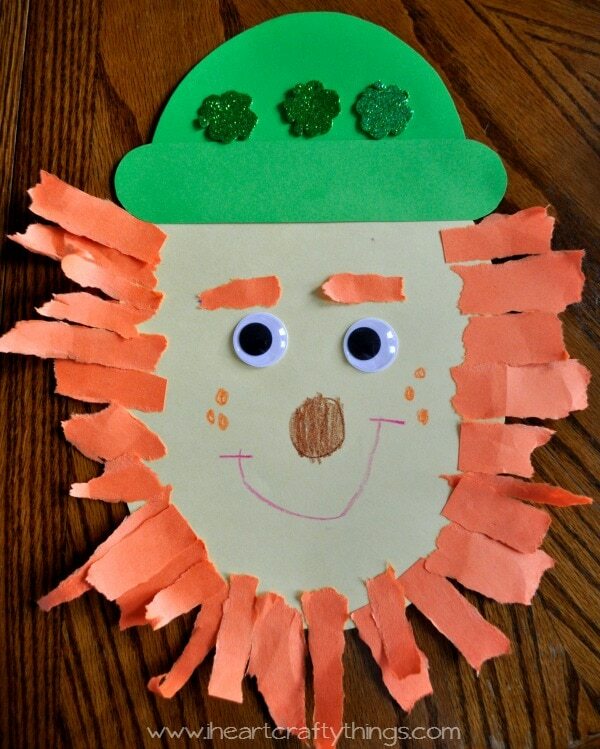 They made such a perfect Leprechaun beard! 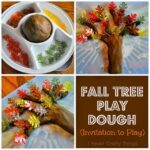 I wanted to mention that our cocktail toothpicks ended up being too long to poke through our play dough so once I discovered that I trimmed all of them so they would work. So if you want to use those, make sure to give them a trim before you start playing. 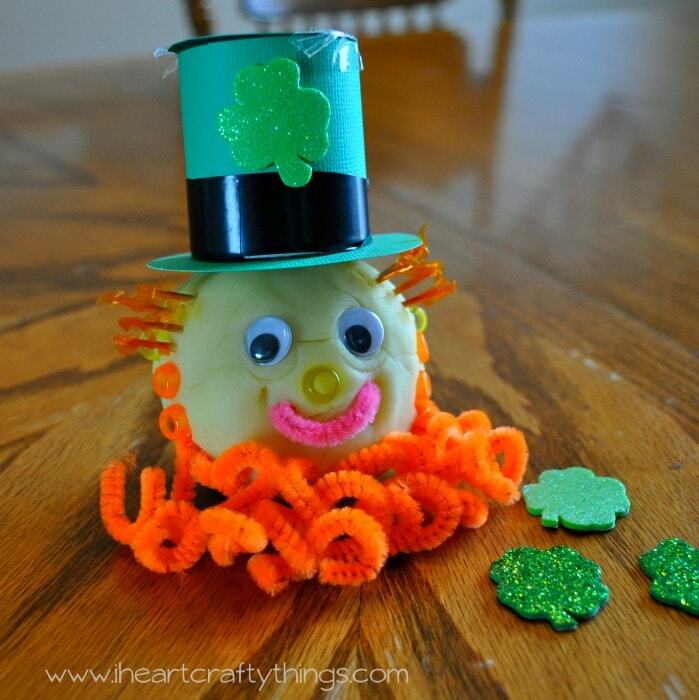 I loved how our little Leprechaun hats turned out, but if I had more prep time I would have used school glue instead of tape to secure them together so they looked cleaner. For play purposes, the tape worked good though. To make them I cut an empty toilet paper roll in half and covered it with green cardstock paper. Then I cut out two circles, one to cover the top of the hat, and a larger one for the brim of the hat. I used clear tape to secure them to the toilet paper roll. I wrapped some black electrician tape around the hat at the bottom and added a small shamrock sticker in the front to finish it. Here is my three year old’s creation. He turned out so cute! This is so adorable and it must have smelled divine! 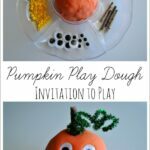 Love love love that play dough recipe. Isn't it the best? I have never tried pineapple though but you can bet I'm adding it to the shopping list this weekend.